Women over the age of 50 who follow a high-protein diet could be at higher risk for heart failure, especially if much of their protein comes from meat, according to preliminary research presented at the American Heart Association’s Scientific Sessions 2016. Researchers evaluated the self-reported daily diets of 103,878 women between the ages of 50 and 79 years, from 1993 to 1998. A total of 1,711 women developed heart failure over the study period. 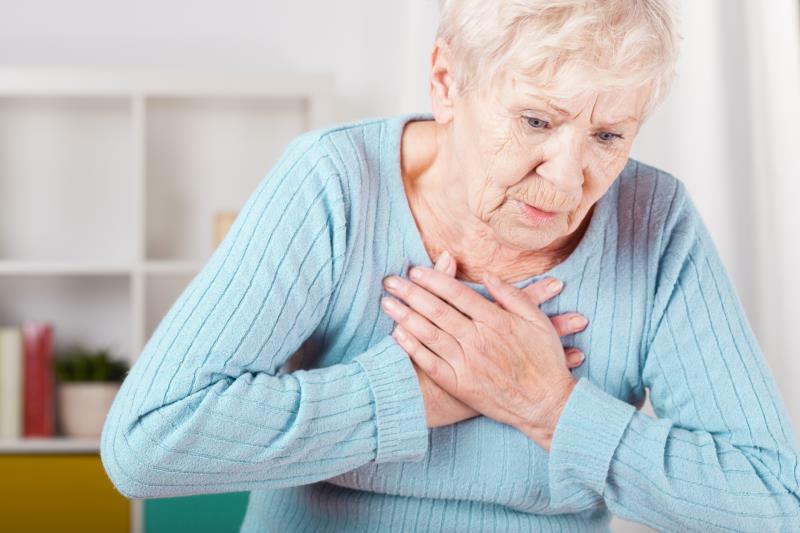 The rate of heart failure for women with higher total dietary protein intake was significantly higher compared to the women who ate less protein daily or got more of their protein from vegetables. While women who ate higher amounts of vegetable protein appeared to have less heart failure, the association was not significant when adjusted for body mass. “Higher calibrated total dietary protein intake appears to be associated with substantially increased heart failure risk while vegetable protein intake appears to be protective, although additional studies are needed to further explore this potential association,” said Mohamad Firas Barbour, M.D., study author and internist at the Alpert Medical School of Brown University, Memorial Hospital of Rhode Island, in Pawtucket. The findings were true regardless of age, race or ethnicity, level of education, or if the women had high blood pressure (2.9 percent), diabetes (8.3 percent), coronary artery disease (7.1 percent), anemia (3.4 percent), or atrial fibrillation (4.9 percent). The subjects were all participants in the Women’s Health Initiative, an ongoing, long-term national dietary survey investigating strategies for reducing heart disease, breast and colorectal cancer, and osteoporosis. Researchers said other studies have found a link between increased protein from meat and cardiovascular risk in women. “Our findings should be interpreted with caution, but it appears that following a high-protein diet may increase heart failure risk,” Barbour said. Because dietary self-reporting can be unreliable, the team also used special biomarker data to accurately calibrate daily protein intake — doubly labeled water and urinary nitrogen. Doubly labeled water uses non-radioactive tracers to evaluate a person’s metabolic energy while urinary nitrogen is used to determine actual amounts of dietary protein. “We used self-reported intakes of total dietary protein, and the quantity of protein women obtained from meat and vegetables based upon the Food Frequency Questionnaire,” Barbour said. The Food Frequency Questionnaire is the most common dietary assessment tool used in large epidemiologic studies of diet and health. A self-administered booklet asks participants to report the frequency of consumption and portion size of approximately 125 items over a defined period. The American Heart Association recommends that people eat a dietary pattern that emphasizes fruits, vegetables, whole grains, low-fat dairy products, poultry, fish, and nuts while limiting red meat and sugary foods and beverages. For people who eat meat, choose lean meats and poultry without skin and eat fish at least twice a week — preferably fish high in omega-3 fatty acids such as salmon, trout, and herring.